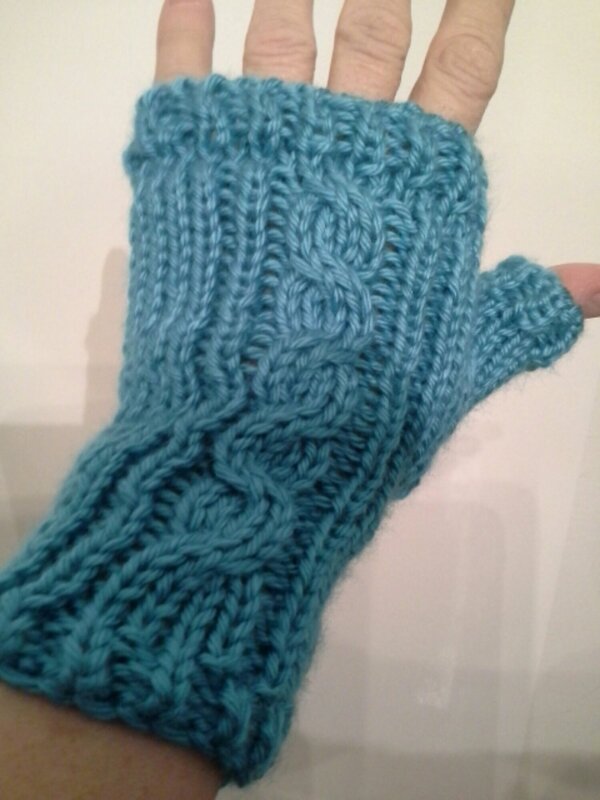 Knit 4 rows, reform to 1×1 rib. Cable every 5 rows over sts 5, 6, 7, 8. Reform 2 or 3 sts besides the cable. Place markers at both ends at RC 20. Knit 12 more rows in cable pattern. Place markers at each end. Knit 3 more rows, make cable. 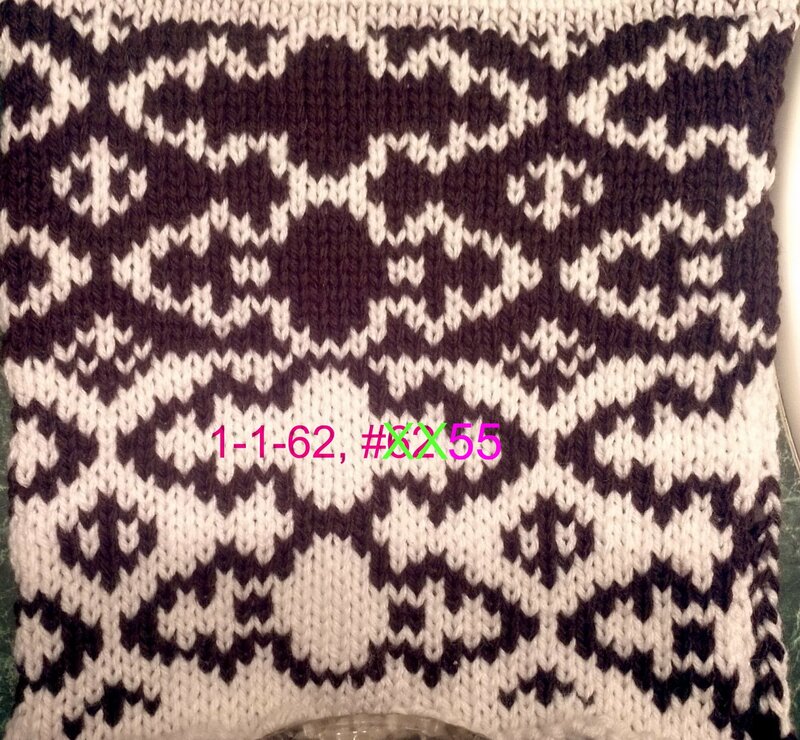 Knit to RC 42, reform 4 rows to 1×1 rib. 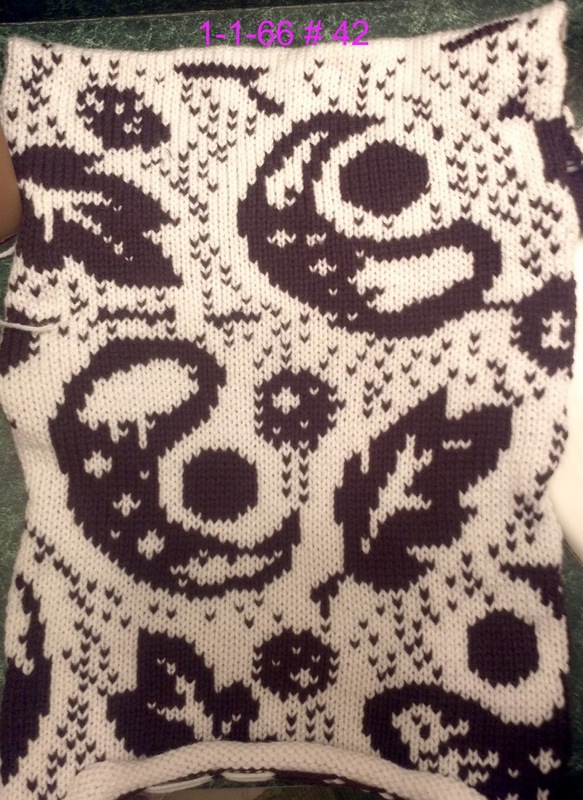 Cast off loosely in pattern. Place bobby pin in every other bar between markers (7 each side). Put 2 stitches on each side from bobby pin onto 2 needles. 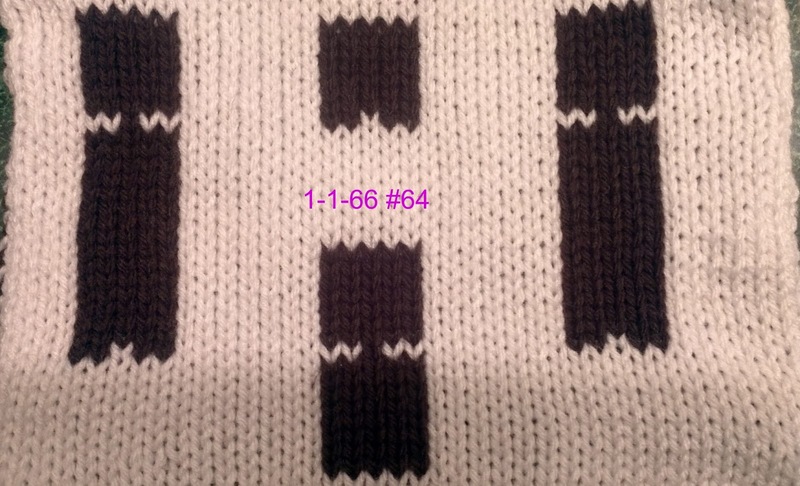 (Purl side showing ). * Put 1 sts from bobby pin opposite of carriage onto a new needle. Repear from * to * until all sts are picked up. (14 sts). Knit 4 or 5 more rows. 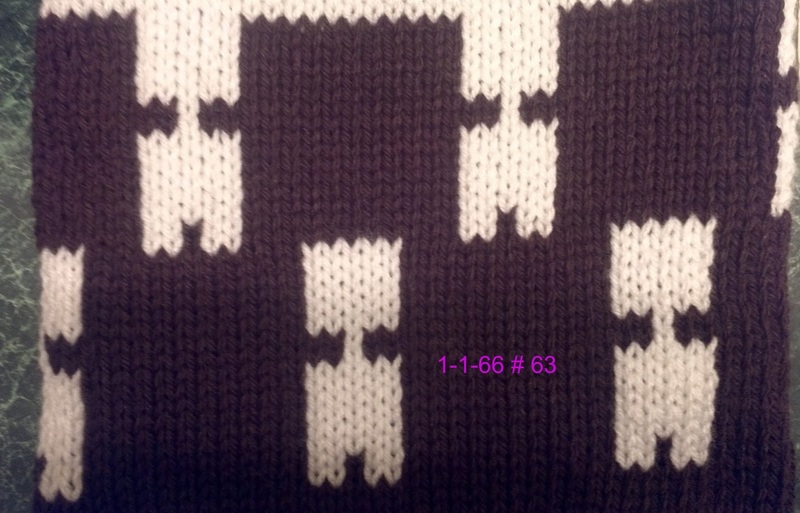 Reform 4 rows to 1×1 rib. 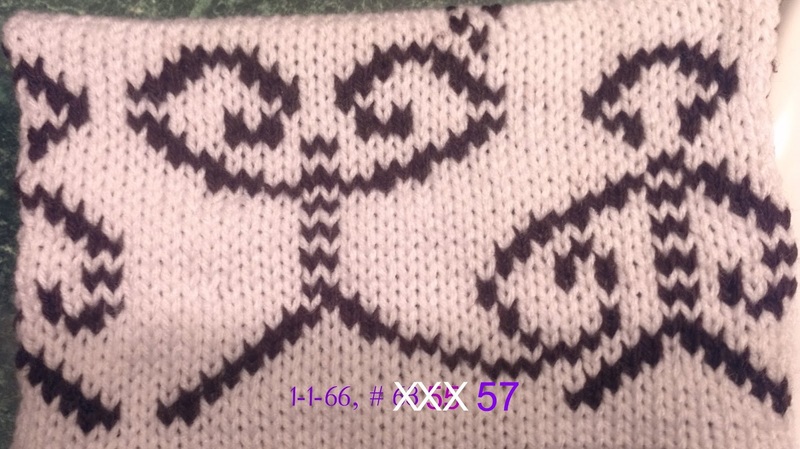 Back stitch bind off loosely. 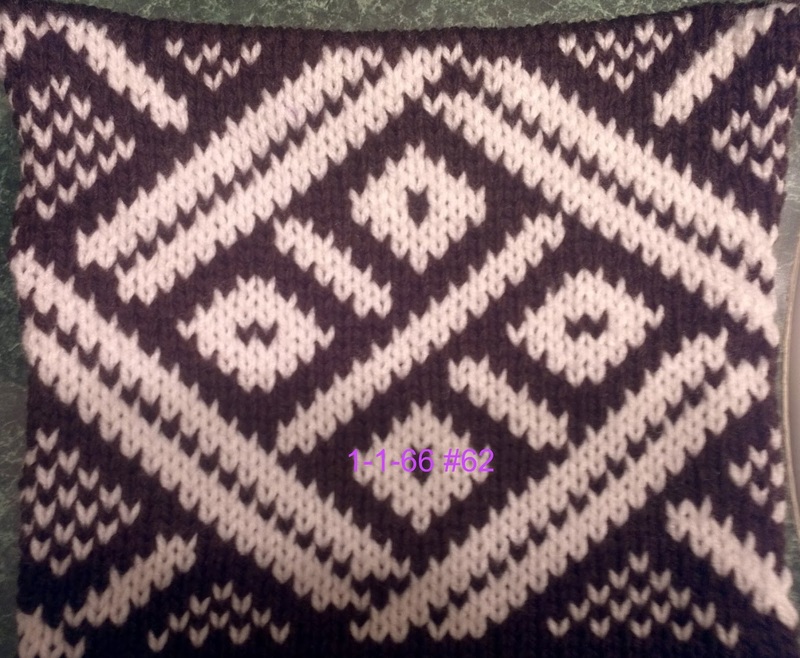 Fair Isle is my favorite knitting technique on the knitting machine. And it shows in this little headband that is sooooo easy to make. 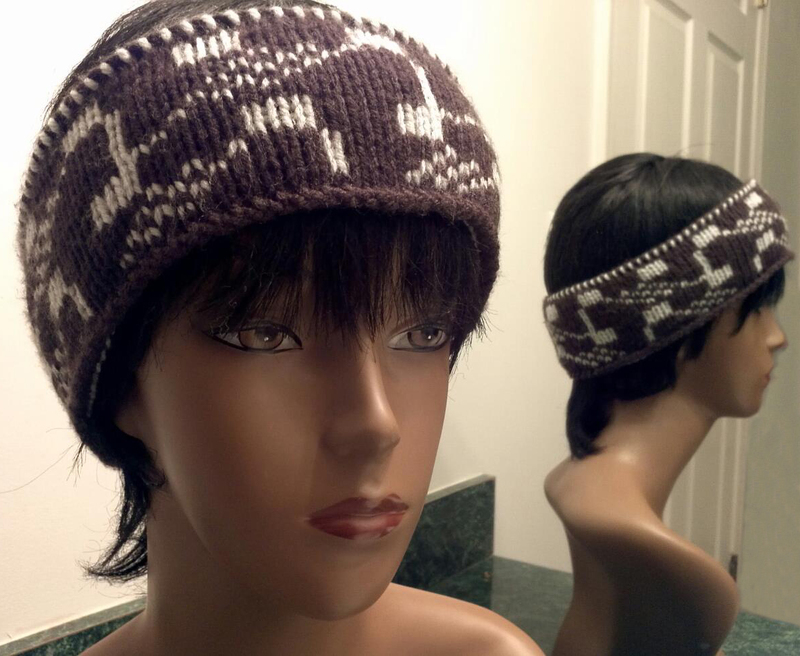 Knitted on the Singer SK860 mid-gauge.